Located approximately 120 km northwest of Madurai, Kodaikanal merits attention because of its mist-covered hills and serene lakes. More relaxed and equally (or more) beautiful than Ooty, Kodaikanal is gradually gaining the footfall it deserves. Despite this, the hill station is still popular for its quietude and calm lush greenery. Famous as ‘Princess of Hill Stations’, Kodaikanal has lakes, waterfalls and umpteen number of meandering trails where you could get lost with your loved ones. Flocked by every kind of traveler, be it a backpacker or a couple on honeymoon, Kodaikanal is a gem of a hill station perfect for the much-needed respite one yearns for these days. With pleasant mornings to greet your harried mind to breathtaking sunsets that will be etched in your memory forever, Kodai has everything going for it. While you can always go hiking, trekking or simply unwind amidst nature, the lakes of Kodaikanal are something surreal and merit a visit. If you are planning a trip to South India, do not miss out Kodaikanal and its lakes. Read on to know more why I have been going on and on about the lakes. Note – Before you embark on your journey to this beautiful and quiet hill station, you should know that the drive to Kodaikanal from Madurai is approximately 3 hours. While Kodaikanal does have its own railway station, the nearest airport can be found in Madurai only. 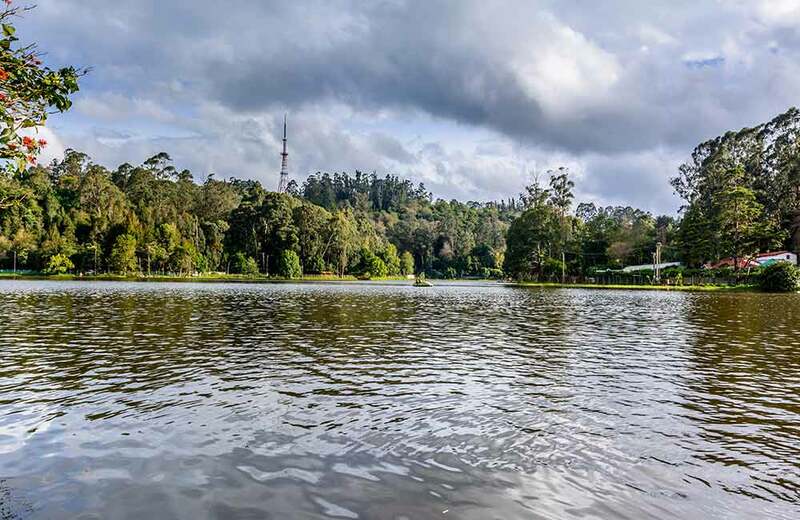 Situated right in the middle of the hill station, Kodai Lake is a man-made marvel that simply takes your breath away. Perched at an elevation of approximately 2,285 meters, one will find them surrounded by stunning vistas and scenic beauty of the hills. Resembling a star, the lake is spread on 45 hectares and ideal for a boating expedition or simply a picnic at its bank. Touted as one of the best lakes in Kodaikanal, this was built in the year 1863 by Sir Vere Henry Levinge. Today, you may spend some time pondering on the graver questions of life or hire a cycle and go around the lake. On rare occasions, there are provisions for horse riding available as well. If you are interested in going for it, we recommend you check beforehand. Note – The main bus stand of Kodaikanal is located just 3 km away. Also, if you plan to visit this hill station during the summer season, do stop for the famous Boat Pageant and Flower Shows, instrumental in drawing a lot of visitors. Next on the list of lakes in Kodaikanal is the Berijam Lake. Unlike the artificial lake of Kodaikanal, this one is au naturel. A 15 km long lake, this one is situated at a distance of around 21 km from the main hill station. The story behind the origin and discovery of the lake makes for an interesting anecdote. 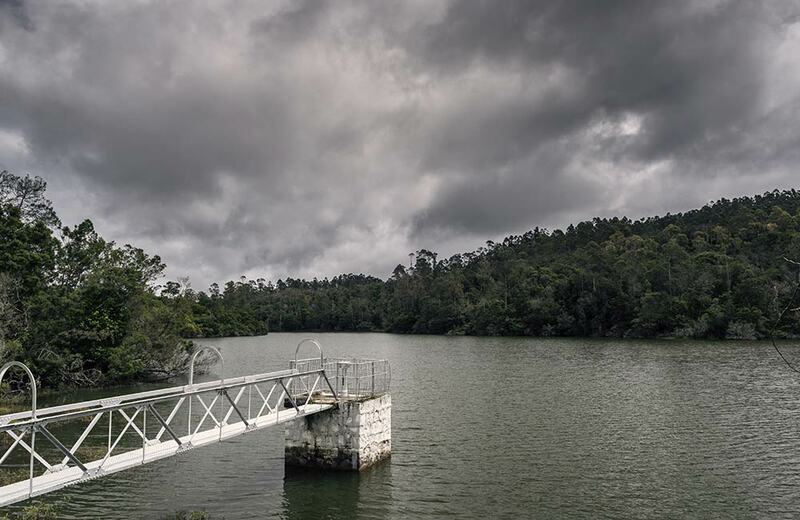 While the lake was introduced to the inhabitants of Kodai by European settlers, the origin story involves a murky swamp clearing to reveal this serene and calm lake. Interesting, isn’t it? The entire lake is surrounded by pine trees accentuating its beauty. If you decide the stay back for an evening stroll or picnic at its bank, you might spot migratory birds, and some animals as well. While soaking in the serenity of the lake (which is intact throughout the year) is the thing you won’t get tired of doing, there are several activities you should definitely try. For instance, boating, trekking, and walking are what people do. The lake is a haven for several types of fishes making it a great place for people interested in angling, making it one of the best places to visit in Kodaikanal. Note – Before planning a visit to the lake, you will be required to obtain permission from the District Forest Officer as this is not open to the general public. More reason to visit this place, right? Also, to know the Kodaikanal lake timings, it is better to enquire the tourism department itself as the timings tend to vary depending on the season. I bet you haven’t heard of this lake. Shrouded in mist and completely hidden from the common crowd, Mannavanur Lake is located in the village of the same name which is approximately 35 km from Kodaikanal. Termed as ‘nature’s paradise’, the lake is surrounded by high hills and lush green forest, making it all the more picturesque. While one can simply spend time idling around the lake, we suggest you try some activities like boating, horse riding while you are here. Of course, clicking those Insta-worthy pictures will be high on your priorities as soon as you set eyes on the lake. Another activity which you should definitely not miss is coracle riding. Coracle is a small circular boat and ideal for couples to traverse the length and breadth of the lake while soaking in the stunning beauty all around. On your way to the lake, you will see that the road is lined with eucalyptus and pine trees making your journey even more surreal and peaceful. Adjacent to the lake, there is a farm for sheep grazing. With prior permission, you may visit that too. 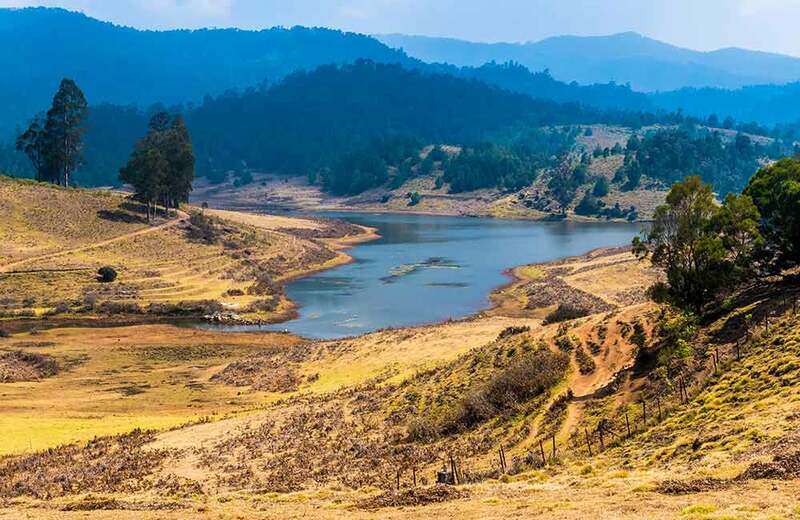 If these lakes don’t quench your thirst for the best of nature’s wonder, we suggest you make the final stop at the world-renowned Ooty Lake and other lakes in Ooty. Extremely gorgeous and divinely serene, a boating trip in the lake or a walk around it is ideal to ensure you have a memorable evening in the ‘Queen of Hill Stations’. Moreover, the distance between Kodai and Ooty Lake is around 270 km making it an easy one-day trip. Of course, the entire journey will be filled with views of verdant forests, mist-covered tea plantations, and cascading waterfalls. Again proving that the journey is always better (or at least equal to) the final destination. Know for yourself by taking that trip to Kodaikanal. Priya is a freelance content writer, with a niche in the travel and lifestyle space. Apart from dreaming about being on the road full-time, she often goes cafe-hopping, in search for the perfect cozy corners in the city, to read her favourite books, try good food or to simply listen to some soul-soothing music. Apart from devoting her time to reading and writing, she is also an ardent dancer, with a zeal for trying out new things every once in a while. © 2018 Casa2 Stays Pvt. Ltd. All rights reserved.